Go Mobile; Location-Based Marketing, Apps, Mobile Optimized Ad Campaigns, 2D Codes and other Mobile Strategies by Jeanne Hopkins and Jamie Turner (J. Wiley & Sons 2012) Not having a mobile strategy these days is like not having a website years ago. Everyone needs to become more familiar with mobile marketing as a competitive advantage in their small business. Jeanne Hopkins and Jamie Turner provide all the tools to understand and leverage mobile marketing-the future of commerce. Even if you only read Chapter 21, this book will change your business. Platform: Get Noticed in a Noisy World by Michael Hyatt (Thomas Nelson 2012) This is a great book for small business owners who have started to use social media and are not yet seeing results. Michael Hyatt teaches you how to build a platform to sell anything using content, social media and traditional media outlets. Hyatt breaks down all the easy-to-replicate formulas. What I like best about this book is that he explains how it worked in his business and how you can do it, too. The Complete Idiot's Guide to Social Media Marketing, 2nd Edition by Jennifer Abernethy (Alpha 2012) Social media marketing is no longer an option for small business owners--it's a must. Jennifer Abernethy does a great job laying out how to get started on all of the social media networking sites (Facebook, Twitter, LinkedIn, YouTube, Google+ and Pinterest and more.) If you've been wondering how to get started with social media marketing this is a great starting place. Small Town Rules; How Big Brands and Small Businesses Can Prosper in a Connected Economy by Barry J. Moltz and Becky McCray (Pearson Education Inc. 2012)Technology has changed the nature of business. Now your only competitive advantages are your personal relationships in local communities and the reputation you earn with real customers. This book explains how to leverage being a small business in a small town to win big business and compete strong. All businesses can learn by watching how business gets done in America's small towns. Click Millionaires: Work Less, Live More with an Internet Business You Love by Scott Fox (AMACOM 2012) I like this book because it is helpful guide for start-up entrepreneurs who want to create a solid business on the internet. Scott Fox focuses on how to take full advantage of the best opportunities and tools for building a personally and financially rewarding online business. For Better or Work: A Survival Guide for Entrepreneurs and Their Families by Meg Cadoux Hirshberg (An Inc. Original 2012) This is a good book for all entrepreneurs to read so that you can have some perspective on what your families go through as you build your empire. I believe it will save many small business owners from becoming divorced, by heeding the lessons from what life in a startup looks like, to the sometime painful process of session planning. By Invitation Only: How We Built Gilt and Changed the Way Millions Shop by Alexis Maybank and Alexandra Wilkis Wilson (Penguin 2012) This is a great tell-all book about how Gilt.com was started and grew to a billion dollar valuation in just four years. This intriguing book not only gives a bird's-eye-view into the world of online selling, membership sites and the fashion industry, but it is also an inspirational tale about two friends who turned their passion for hitting sample sales into a business that made their dreams come true. You will enjoy this book. Own Your Niche: Hype-Free Internet Marketing Tactics to Establish Authority in Your Field and Promote Your Service-Based Business by Stephanie Chandler (Authority Publishing 2012) What I like best about this book is that is straight-forward, practical advice on internet marketing. Author Stephanie Chandler cuts through a lot of the internet hype.This book is full of actionable step-by-step advice to become the guru in your industry. Own Your Niche is exactly what you need if you are trying to figure out your niche focus for your small business. How They Started; How 25 Good Ideas Became Great Companies by Carol Tice and David Lester (Crimson Publishing Ltd. 2012) Success leaves clues everywhere! This book tells the amazing stories of how 25 companies have become global powerhouses. Prepare to be inspired. Carol Tice and David Lester have gathered the inside scoop on the launches and growth patterns of companies including Twitter, Spanx, Gatorade, eBay, Dropbox and Groupon. The Seven Pearls of Financial Wisdom; A Woman's Guide to Enjoying Wealth and Power by Carol Pepper and Camilla Webster (St. Martin's Press 2012) If you want to start a business, the money to launch your dream will come from your right or left pocket. Camilla Webster and Carol Pepper offer an impressively comprehensive guide that tells you how to make, grow and protect your money so that you can have options at every stage of life to launch a small business. This is a guide to complete financial freedom. This was originally published under the title: SmallBizLady's Summer Reading List 2012 at http://succeedasyourownboss.com/07/2012/smallbizladys-summer-reading-list-2012/. What business books are you reading this summer? For more tips on how start or grow your small business subscribe to Melinda Emerson's blog http://www.succeedasyourownboss.com. Melinda F. Emerson, known to many as SmallBizLady is America's #1 small business expert. 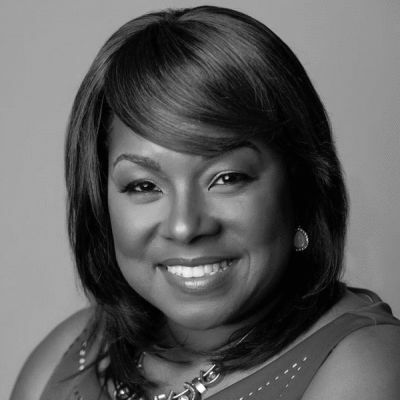 As CEO of Quintessence Multimedia, Melinda educates entrepreneurs and Fortune 500 companies on subjects including small business start-up, business development and social media marketing to fulfill her mission to end small business failure. She writes a weekly column on social media for The New York Times. Forbes Magazine named her #1 woman for entrepreneurs to follow on Twitter. She hosts #SmallBizChat Wednesdays on Twitter 8-9pm ET for emerging entrepreneurs. She also publishes a resource blog http://www.succeedasyourownboss.com Melinda is also the bestselling author of Become Your Own Boss in 12 months; A Month-by-Month Guide to a Business That Works.